Keratin is one of the best things out there for your hair. If you frequently use heat to style your hair (a la blow-drying, using irons, etc.) then keratin hair products are pretty much essential to maintaining the health of your hair. So, to understand why keratin is important, we’re going to have ourselves a little science﻿ lesson! Keratin is a fibrous structural protein, and its job is to protect certain cells from damage. Keratin is a key component in human skin and hair, among other animals, and it helps keep our skin tough and our cells safe and healthy. If we already have it, why do we need more of it? Styling your hair involves doing a lot of stuff that hurts your hair. Blow-drying, and especially straightening or curling, will cause all kinds of problems for your precious hair, which can lead to long-term damage. Keratin treatments restore some strength and resilience to your hair. Using keratin products helps your hair recover from the damages you’ve done and helps your hair to be more protected against damage in the future. Oh and it’s not just for your hair’s health. Keratin infused products are also considerably useful in taming frizzy or dry hair, and it significantly cuts down on split ends. Keratin shampoos work similar to the salon keratin treatments in the sense that the shampoo provides a healthy, frequent source of the helpful protein, which is why we recommend getting one. We have picked out 5 great keratin shampoos that you should definitely look into. 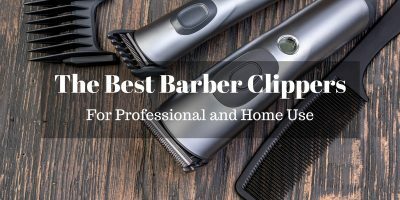 When making this list, we picked shampoos that would be right for as many different hair types as possible – in other words, there is no particular order. All of these are number 1 in our books. We’re going to start with the Calily Life Organic Moroccan Argan Oil Shampoo. For a lot of people, getting safe, effective organic products is crucial. Of course, part of the problem is finding a product that is both good and organic. This is easily one of the best keratin products we’ve seen, and it is 100% organic. The next one, Advanced Color Care System by Arvazallia, is for the fancy follicle people out there. If your hair is blue, green, purple, or anything in-between, check this one out. The gentle but effective cleansing shampoo is made special for people with dyed hair. Our third entry on the list is the Organic Moroccan Argan Oil Shampoo from Art Naturals. This shampoo is fantastic for anyone born with curly hair. And similar to the number 2 on our list, this one also helps protect coloured hair and slows fading. TRESemmé’s Expert Selection Shampoo, Keratin Smooth shampoo comes from one of the most respected producers of hair care products in the world. With their promise of quality that has gone unbroken since long before the Berlin wall went up, this shampoo is an excellent choice for making your hair look incredibly beautiful. We’ve already discussed how it is organic, but that’s not the only thing it has to offer. This shampoo (which comes with a matching conditioner) also features a potent blend of Argan Oil and Dead Sea minerals, all designed to give your hair everything it needs to be healthy and strong. This concoction is tailored to perfection to help prevent splitting, tangling, and all the other kinds of things that assail and hurt your hair. If you struggle with your hair’s health and it’s been a constant battle to get it to stay in good shape, then this is the shampoo for you. Argan oil is a big component to this and other shampoos on this list, so we’re going to go ahead and tell you what it actually is now. Argan oil is produced from the argan tree, which is native to Morocco. If you’re into cooking, you may know that argan oil is often used when making pastas, salads, or for dipping breads, or other uses, and is considered really good for your body, but outside of the culinary world, most people know of it for its cosmetic benefits. Before we really get into talking about this shampoo, let us ask you a question: what is shampoo actually supposed to do? Sure, improving your hair’s health is all fine and dandy, but that’s not really its main purpose, is it? Shampoo is a hygiene product. It is intended to clean your hair. That is why we love this one – if you’re the type of person who gets their hands (and hair) dirty, then you’ll want this. This is like the dream shampoo for rough-living style country gals and gents. It removes product build-up, dirt, and grime, but it’s also really good for maintaining your hair’s health. This shampoo isn’t just good for your hair, it’s good for that thing that holds all your hair in place too. You know, your scalp! Yes, this shampoo is dedicated to giving you a cleaner, healthier scalp, as well as providing all the benefits of keratin to your hair. It has a pretty amazing combination of botanical extracts and natural oils that help keep your head both pretty and healthy. The shampoo and matching conditioner are both 16 ounce bottles, so they’ll last you a nice long while too – that’s good, because once you try it, you’ll dread the day you run out. Ahh TRESemmé, there is a reason this company has been a renowned name in the hair care industry since 1947. Originally marketed only to salons, they eventually began selling to the general public, and the public loved them. They loved TRESemmé’s products so much that the company is still in business after 70 years. If you care about history, TRESemmé is a pun on très-aimé, which means “well-loved” in French, and was started in Missouri, and every few decades a new company buys them. They recently went through their second take over, with TRESemmé being bought by Unilever in 2010. This shampoo is made to help you keep your hair looking 10/10 all day every day. If you want to make styling a little easier on yourself, test this out. It’s also really good at controlling frizz and preventing split ends, which is very important for maintaining healthy hair. This is the crown jewel in the Suave Professionals’ line up of products. Their pride and joy is made to bring you the best in terms of both aesthetics and health. This is the quintessential health and beauty product, taking that common sorting tag literally. As far as beauty goes, it provides some pretty intense frizz control, plus the PH-balance is perfect for maintaining a smooth and easy-to-style head of hair. This shampoo is great for keeping greasy or oily hair in check. And when it comes to health, the keratin infusion does wonders for keeping your hair strong. You know by now all the great things keratin does for your hair. On top of everything else, the smell is wonderful. Argan oil – As explained before, argan oil is very good for your hair (and tummy if you eat it! ), so finding a shampoo that contains argan oil is very important. This is one of the first things you should look for if your hair is especially damaged or prone to being damaged. If you are concerned about your hair drying out, argan oil is a good moisturizing agent. Conditioner – There is only one product on this list that doesn’t come with conditioner, and it makes up for it by coming with a second bottle of shampoo instead. Conditioner helps protect your hair and makes it easier to style. Smell – It is unfortunate, but a lot of keratin infused shampoos just don’t make your hair smell nice, and others are so saturated with perfumes they make your eyes water. 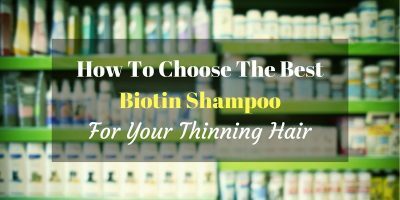 It’s important to find a keratin shampoo that has a pleasant (but not overpowering) smell. We know we said that all of these products were pretty equal in terms of how awesome they all are, but if we’re going to pick our favourite, it’s got to be the Calily Life Organic Moroccan Argan Oil Shampoo. It has everything we want from a keratin shampoo, and more. It’s organic, it’s got argan oil, it comes in a bloody massive bottle, there’s a matching conditioner, and it’s safe for sensitive skin.